It’s an Asteroid, It’s a Comet, It’s…well, Both for Now! Cometary activity discovered in asteroid (457175) 2008 GO98! Early morning July 3rd 2017, just before the Santa Catalina mountains north of Tucson, Arizona were evacuated due to the expanding Burro Fire, Catalina Sky Survey (CSS) observer Greg Leonard spotted what appeared to be a comet-like object in one of his near-Earth object detection images collected from CSS’s 1.5-m telescope on the 9,157 foot summit of Mt Lemmon. After scanning a database of solar system bodies and identifying no known comets in this piece of the sky, he excitedly submitted the objects position and description to the Minor Planet Center (MPC) at Harvard University thinking this may be a new comet. Within minutes an automated email reply indicated the position matched a well-known object, but curiously it was a known asteroid, not a comet. Somewhat baffled by the conflicted status of the object, he carried on with his survey work when 30 minutes later an email arrived from Gareth Williams, Director of the MPC. Williams explained that the submitted positions had linked directly to a Hilda-type asteroid, one whose orbit is locked in a regular (though ultimately unstable) and gravitationally-bound dance with Jupiter, and carrying the inspired name: (457175) 2008 GO98. He questioned if Leonard was positive about the cometary appearance. Leonard checked the images again and also requested observational confirmation from his CSS colleague Carson Fuls, who was remotely operating CSS's 1-m telescope from the campus of the University of Arizona that night. Minutes elapsed before Fuls sent a screen grab of his first confirmation images to Leonard. 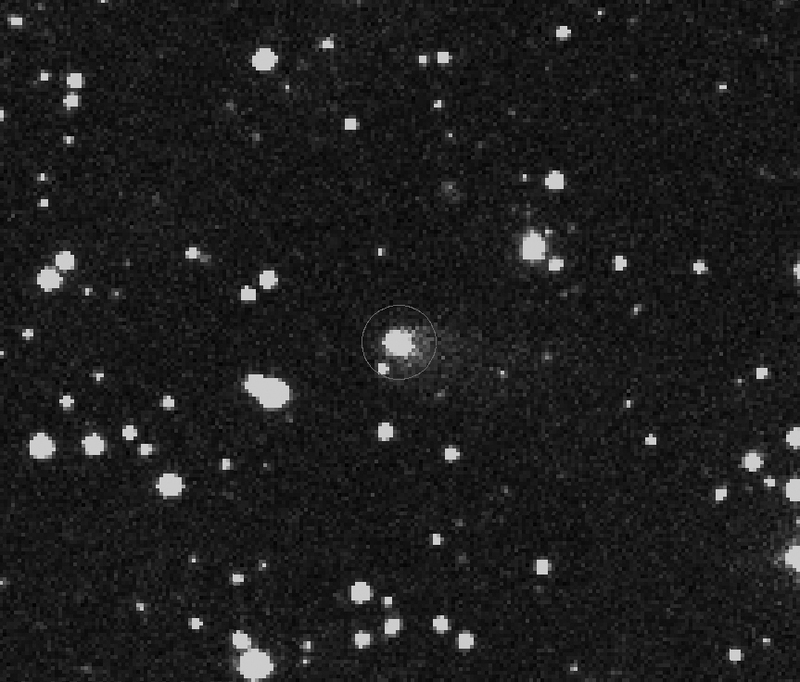 Sure enough, clearly visible in the image were the hallmark features of a comet: a bright coma surrounding the head, and broad diffuse ‘fuzzy’ tail trailing behind it; the same object Leonard had spotted earlier. Comet-like activity confirmed. Several hours later the MPC issued a special Minor Planet Electronic Circular, which is like an all-points-broadcast to professional and amateur astronomers the world over alerting them to collect further observations of the object in an effort to better understand its nature, and the reasons for the comet-like outburst. Now, in the week since the discovery, several advanced amateur and some professional observatories around the world have acquired new images for the object confirming its comet-like appariton, although critically there’s been no observations reported revealing it's composition, what it's made of. This will require spectroscopic analysis to show if it’s a cometary body containing volitiles such as water and carbon dioxide, or more like the rocky asteroid it was initially beleived to be, but that was perhaps impacted by another asteroid, scattering rocky dust and debris to mimic, temporarily the presence of a coma and tail. Thus far the size, shape and structure of the coma and tail in recent images appears to remain fairly consistent, making it increasingly likely to be a comet, a Jupiter Family Comet. But until more definitive spectroscopic results are presented, the mystery remains.